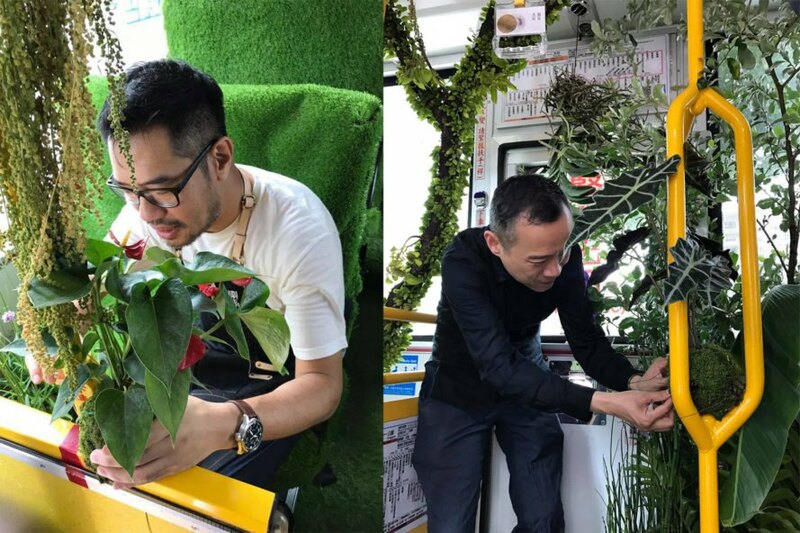 An explosion of green took over a city bus in Taipei recently, treating commuters to a leafy dose of nature. 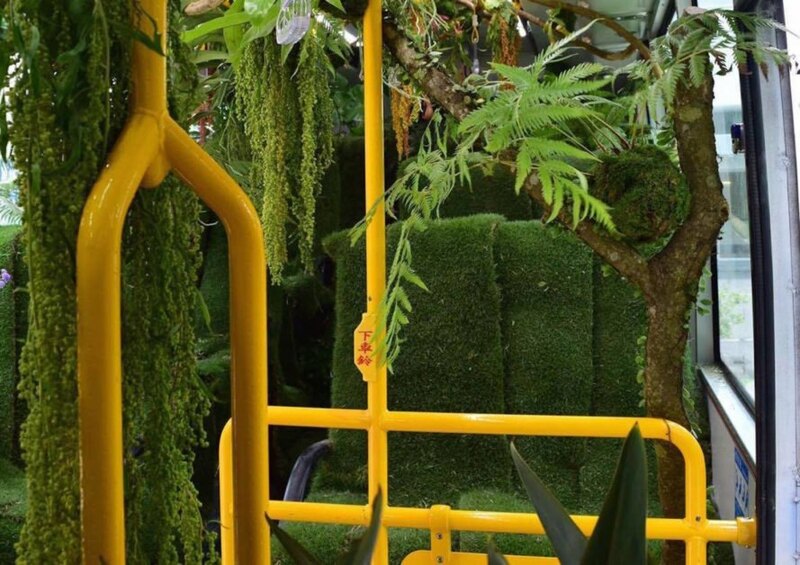 Florist Alfie Lin and designer Xiao Qing-Yang designed the world’s first “Forest Bus,” a transformed wonderland of turf-lined seats and hanging orchids and ferns that continued to run as a mode of transport. The traveling art installation is a welcome breath of fresh air to the city’s concrete jungle, where air pollution is a constant concern. 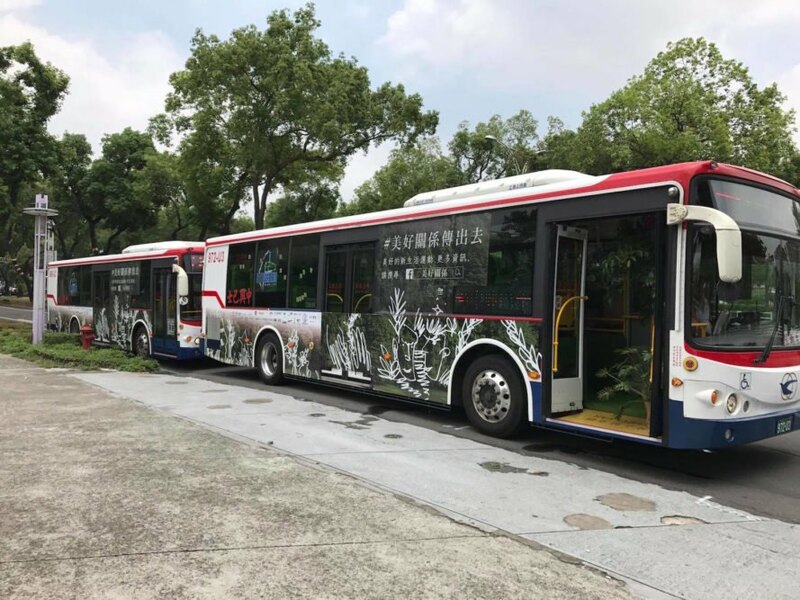 Conceived with the aim of bringing city dwellers closer to nature, the Forest Bus project temporarily transformed a city bus that runs on the popular 203 route between Taipei’s Tianmu neighborhood and New Taipei City’s Xizhi District, including stops at the beloved Raohe night market and an art museum. The trial period, which launched June 24, lasted five days and cost NT$100,000 (USD $3,320) to prepare according to the Taipei Times. 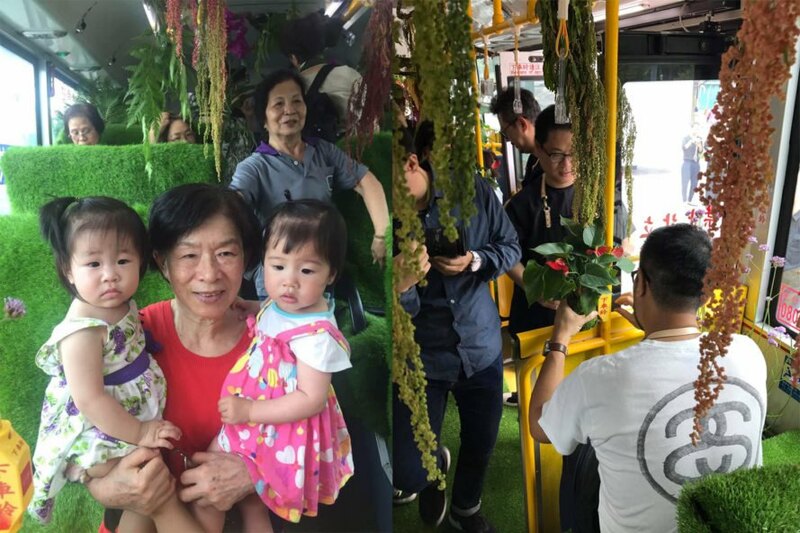 The bus was decorated with Taiwanese tropical plants, including beautiful orchids, ferns, and a variety of air plants. Artificial turf covered the seats and walkway. Interviewed commuters praised the mobile art installation and voiced support for turning it into a permanent fixture of the city. 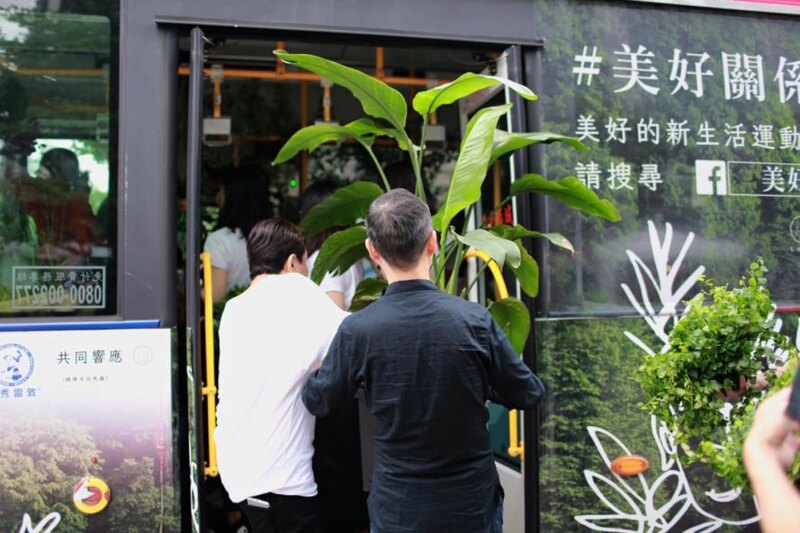 Conceived with the aim of bringing city dwellers closer to nature, the Forest Bus project temporarily transformed a city bus that runs on the popular 203 route between Taipei’s Tianmu neighborhood and New Taipei City’s Xizhi District, including stops at the beloved Raohe night market and an art museum. The trial period, which launched June 24, lasted five days and cost NT$100,000 (USD $3,320) to prepare according to the Taipei Times. 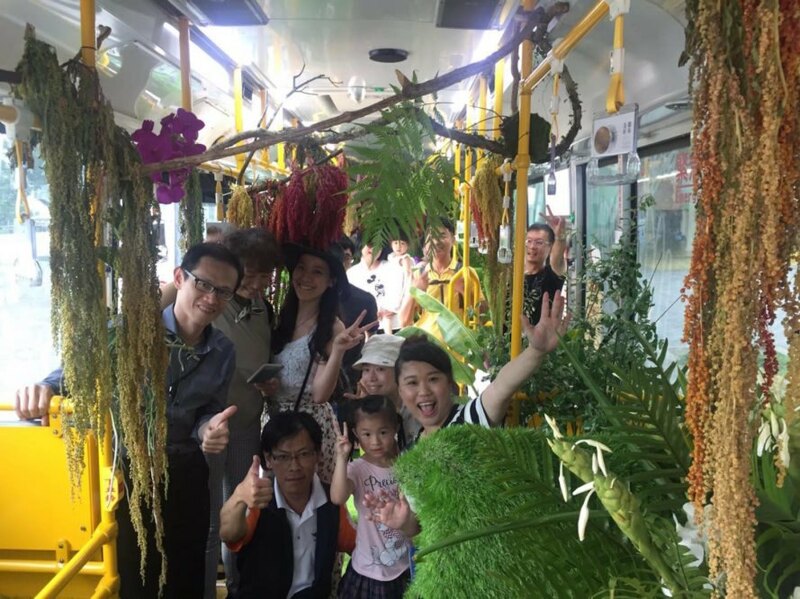 The bus was decorated with Taiwanese tropical plants, including beautiful orchids, ferns, and a variety of air plants. Artificial turf covered the seats and walkway. Interviewed commuters praised the mobile art installation and voiced support for turning it into a permanent fixture of the city.